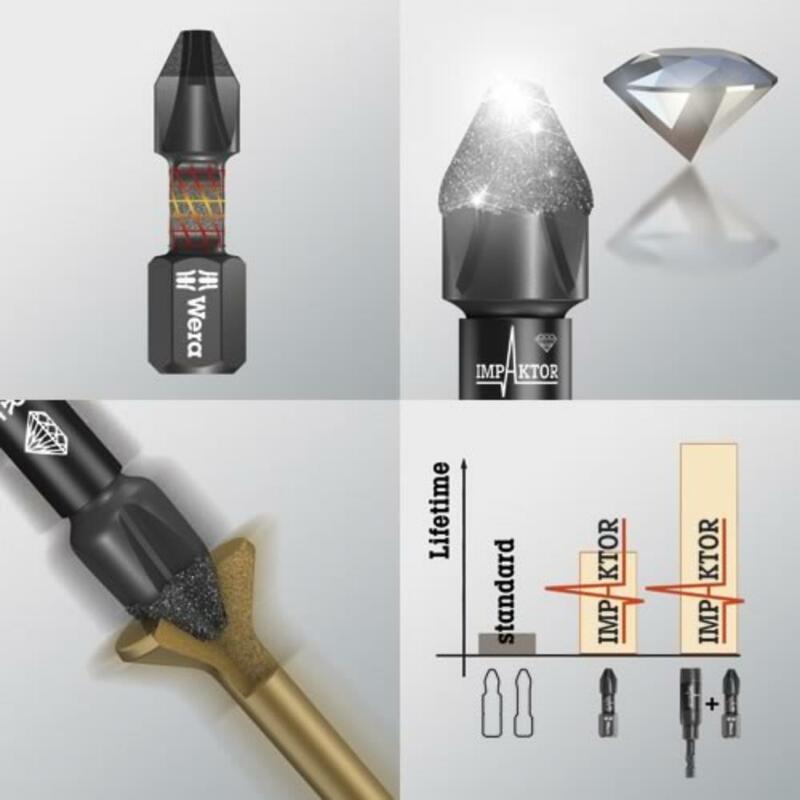 Designed for impact drivers, these diamond coated tipped bits will last 5X longer than standard bits and up to 10x longer when used with the IMPAKTOR holder. 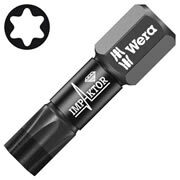 Manufactured from hardened steel and finished with a diamond coated tip these bits are the ultimate for impact driving. The ONLY impact proof bits, the IMPAKTOR range is made from special handened steel and features a unique torsion zone. When combined with an IMPAKTOR holder, the torsion zones combined create a specifically designed resistance to pressure and high torque created by impact drivers, including 24V machines with over 180Nm torque.